Have your cycle serviced after the winter layover, we will check the entire cycle adjusting gears, bearings, Hydraulic and mechanical brakes, generally making sure your bike will be safe and reliable for the start of the summer season. We also do custom building and wheel straightening. 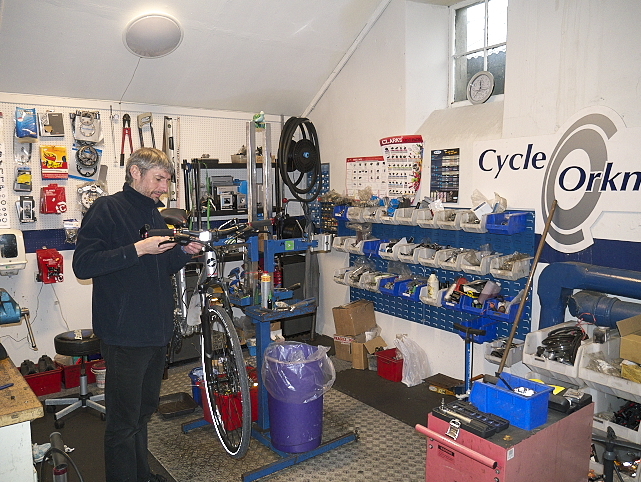 Cycle Orkney can offer a complete repair and overhaul service for your cycle.